I am a huge YG stan so when I found out that there was a kpop rhythm game I totally freaked out. 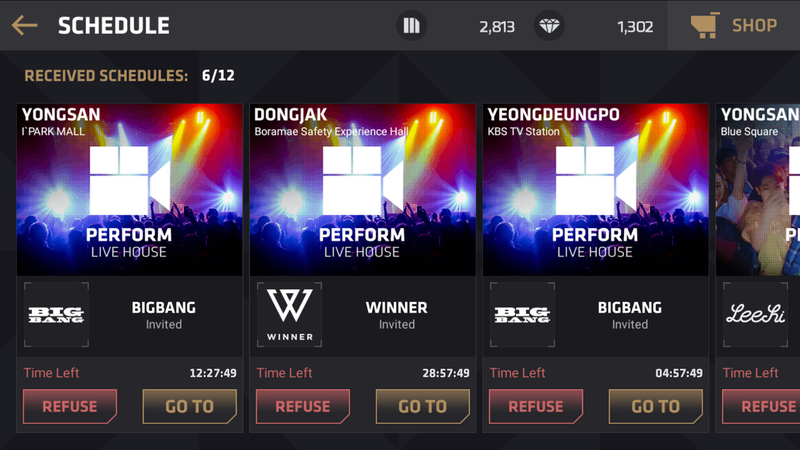 I am super obsessed with BigBang and have been playing BeatEvo YG for quite awhile now. I've thought about making a guide for the longest time and am finally getting around to it! When I first started I was a bit confused at first so I want to help new players understand how to navigate and move forward in the game. CEO Seungri here to help you fill out your information. 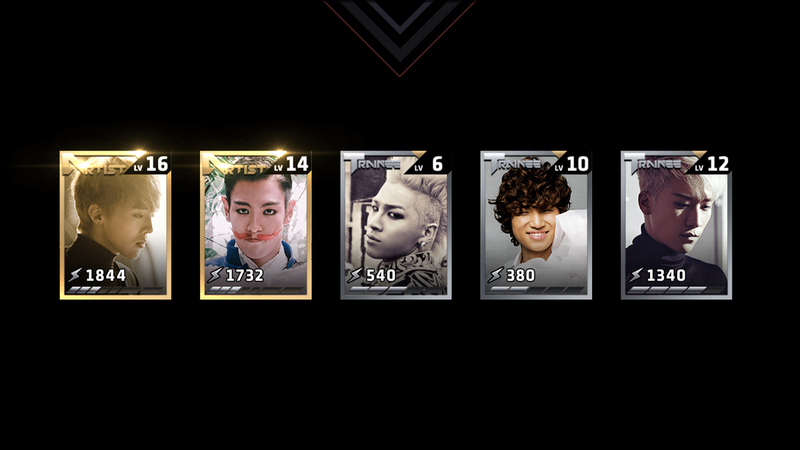 THIS VIRTUAL TALKING SEUNGRI CARD REALLY TRIES TO HIT ON YOU AT THE BEGINNING OF THE GAME LOL. I LOVE HIM SO MUCH. I think it's funny how well they captured their personalities through the dialogue. I CHOSE BIGBANG OF COURSE! 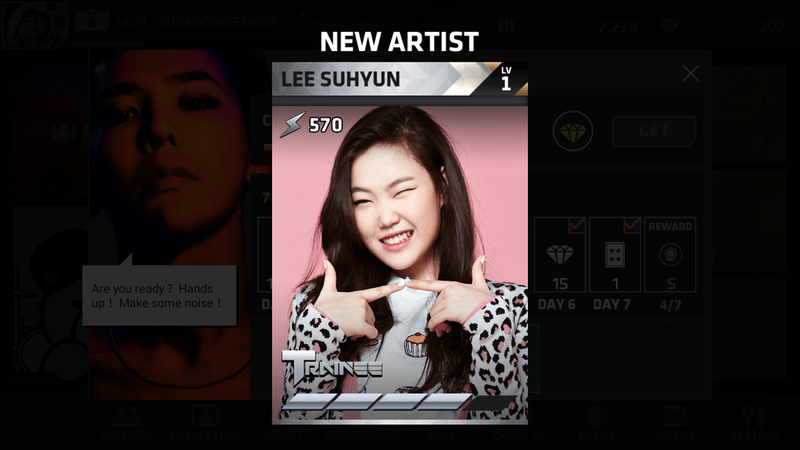 What a coincidence that I got GD as my first artist card! 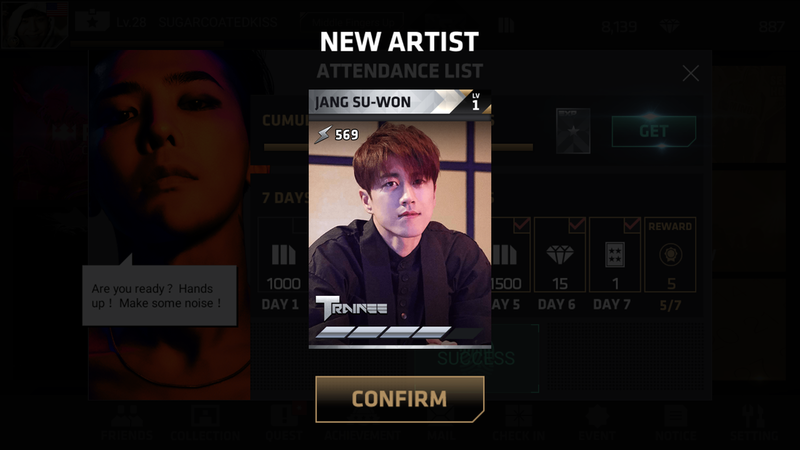 Maybe the game knew that he is my ultimate bias. There's a lot to look at in the management section so keep reading if you want to learn more! Here is the main menu screen! Everything you need is here. Let's head straight into the roadshow. I honestly can't remember how much the tutorial shows but you obviously you want to play through a couple songs first before getting into anything else. Even if you miss a day it won't affect your streak. 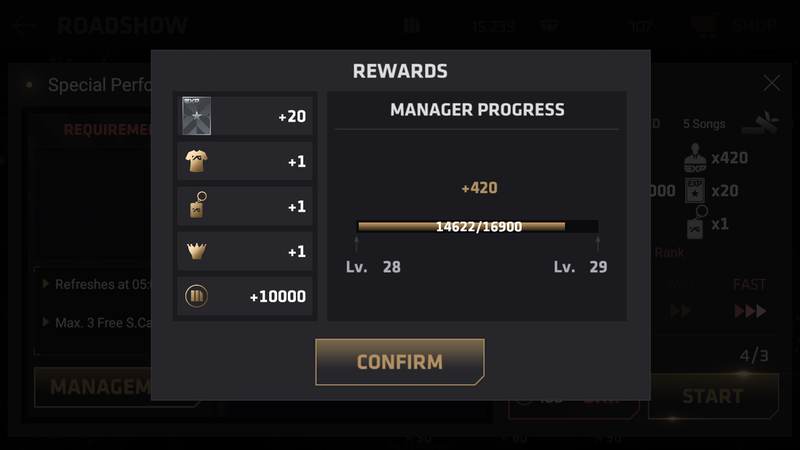 You will miss that day's reward but it won't restart the counter. 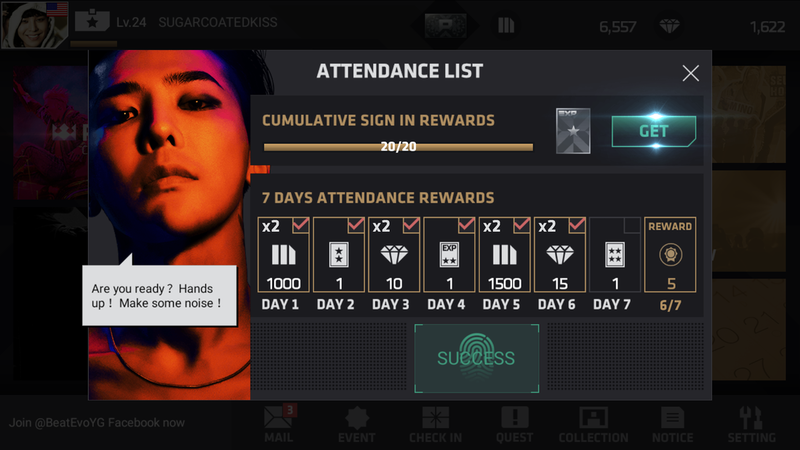 I still can't get over how gorgeous GD is and the fact that they use his face everywhere in this game LOL. 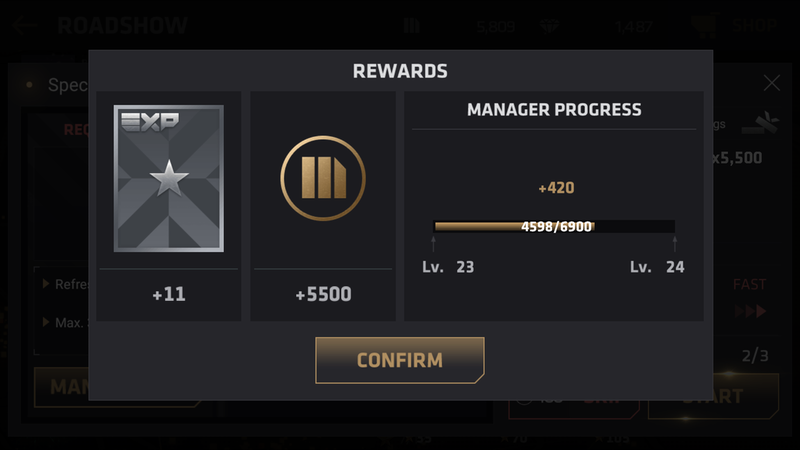 You can get high level cards through sign in rewards! Mobile games always have two types of currency. The peasant currency and then the special type that is extremely hard to get without spending real money. Signing a contract means to obtain artist cards. 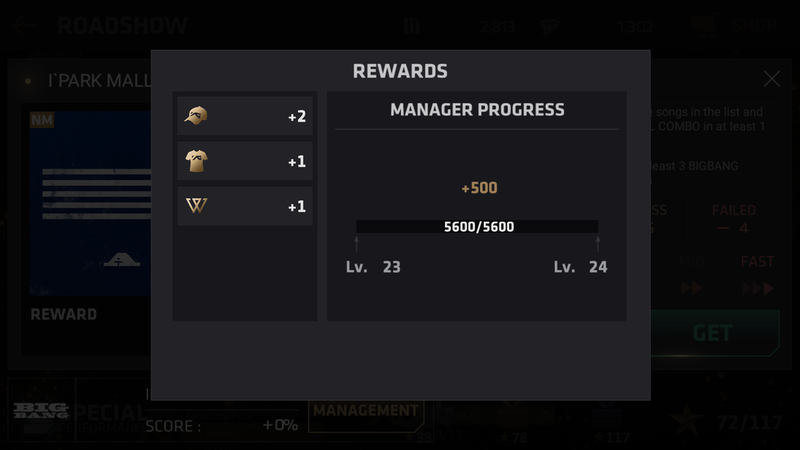 The contract icon looks like a small ribbon and you can earn these through schedules, quests, and more. 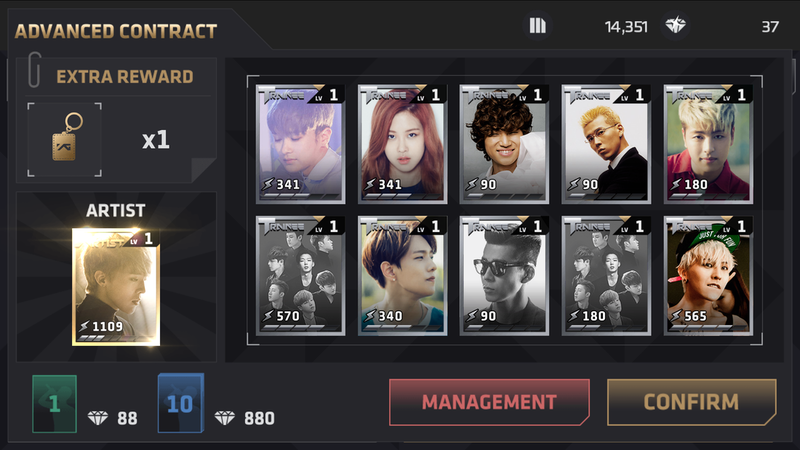 The advanced contracts give you 10 random cards and 1 gold card if you choose the 10 option for 880 diamonds. I have signed 2 advanced contracts in total. 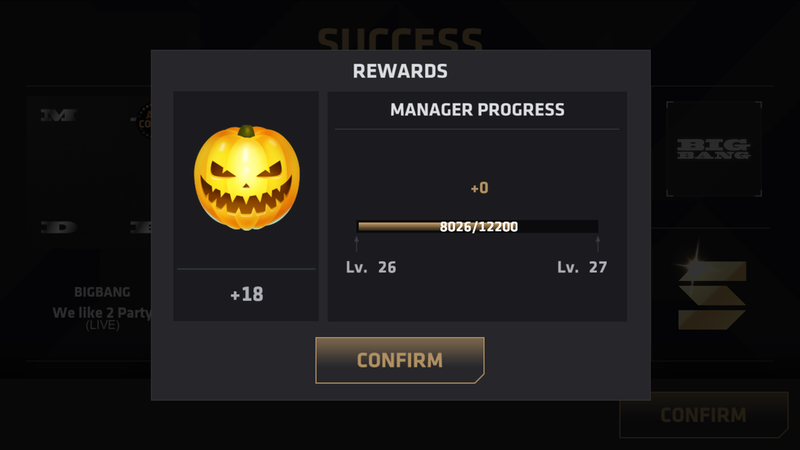 You can sometimes get golden cards during special events. It's how I got my TOP card! YOU CAN ONLY GET THE ADVANCED CONTRACT WITH DIAMONDS. You will not receive a golden card by only buying 1. When you get 10, you get to choose which group you want the gold card from. You are not able to choose the specific member. I was screaming. 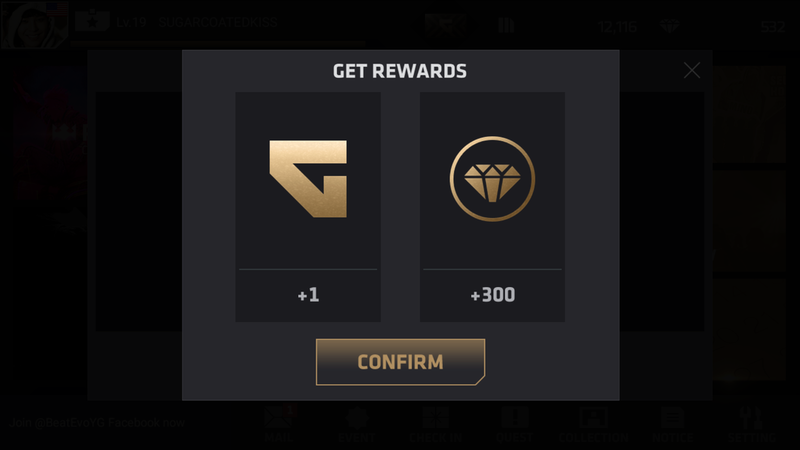 My first time trying it I got a golden GD card! It's kind of like a loot box from overwatch when you get legendaries and trash. Not all the cards are bad! CL is such a beauty! Happy to have her golden card. Here's what your haul will look like if you choose the regular contract x10! Mostly all low level cards but you might get lucky and score a few worthy cards! Think of this as story mode in the game. You will play through different song sets and score artist cards along the way! Notice the "UNLOCK" under each station name. 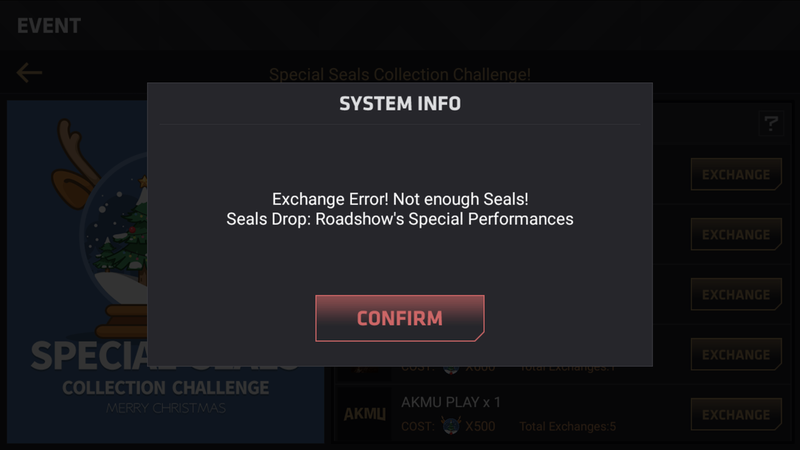 If you want to play in the next roadshow you need to earn the total amount of stars required. Your total shows under **SEOUL** at the top left. If I have 237 and need 260 to unlock Seocho, I need to go back and get better scores on previous songs. This is what it will look like when a new roadshow is revealed. You are not allowed to skip around and choose what you play. You have to start at the first point and move on from there. 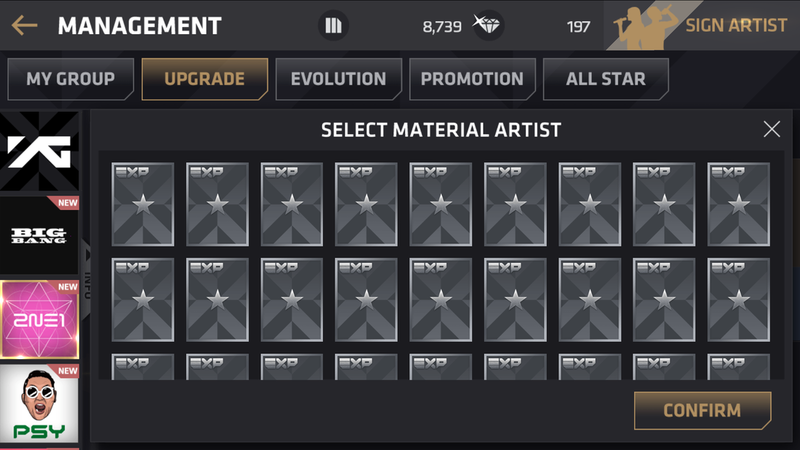 After every NEW song you complete, you will earn experience points and receive a random new artist card. They are usually low level cards. Each requirement that a song shows counts as a star. Sometimes these requirements are absolutely ridiculous and it's impossible to get three stars on certain songs at the beginning. For most songs you basically try it out and then return to it at a later time when you get better cards. You simply cannot achieve these scores with the current cards that you have no matter how well you do. All mobile games have that "pay to win" factor but you can't have everything when you first start. The more you play the more you will level up! When you collect stars during a roadshow, you get presents for reaching milestones! 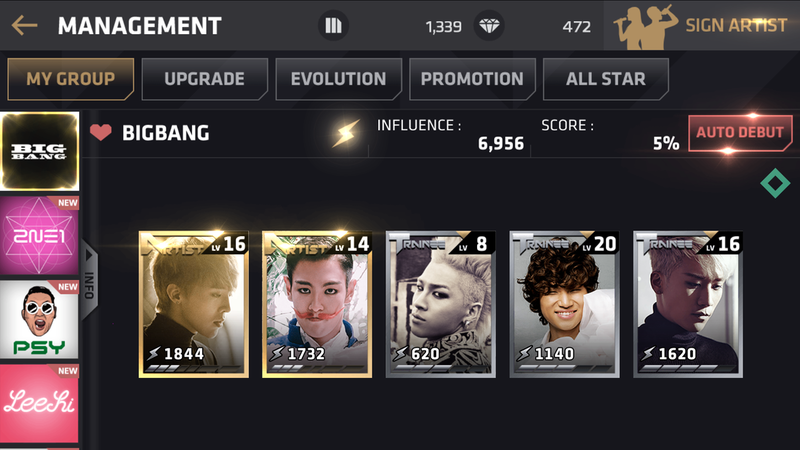 My goal is to have a full golden BigBang team one day! You shouldn't focus on one group. 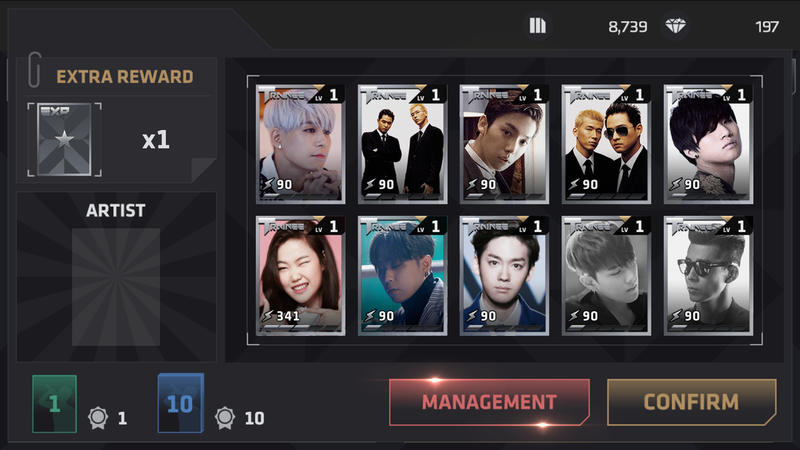 Don't be like me and waste every single card on upgrading members in your favorite group. Use your resources wisely! 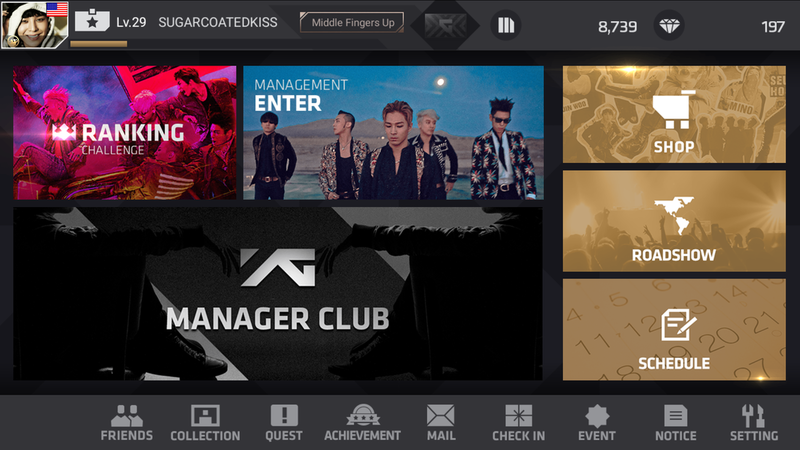 In management, you can look through all the YG groups and view your cards. It will tell you influence and score. Influence is important to know because some songs will require you to have a high influence in order to earn a star. 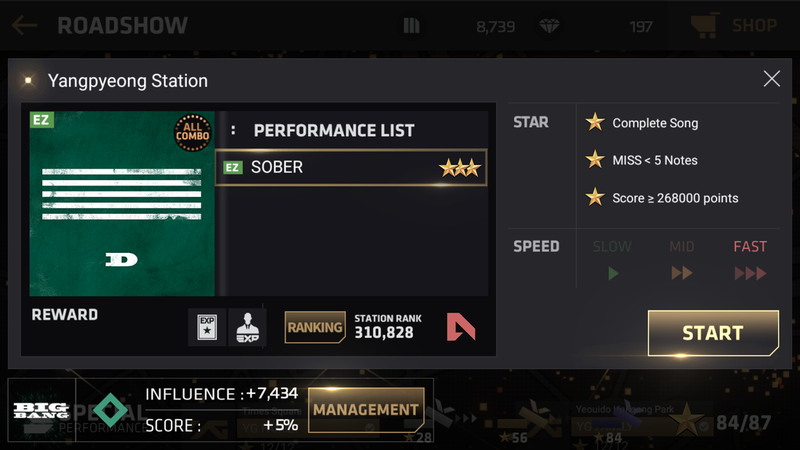 The green symbol means that all members are rank 3. If not, there should be a faded "!" you can click on. 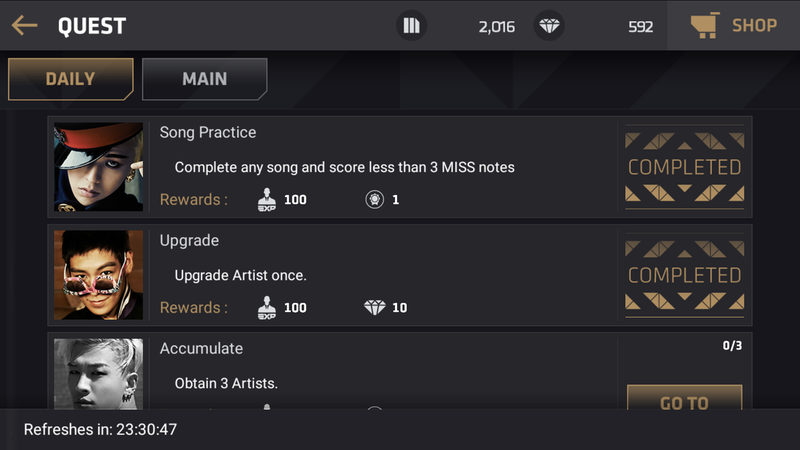 When you finish a song, more points can be added to your final score depending on member rank. 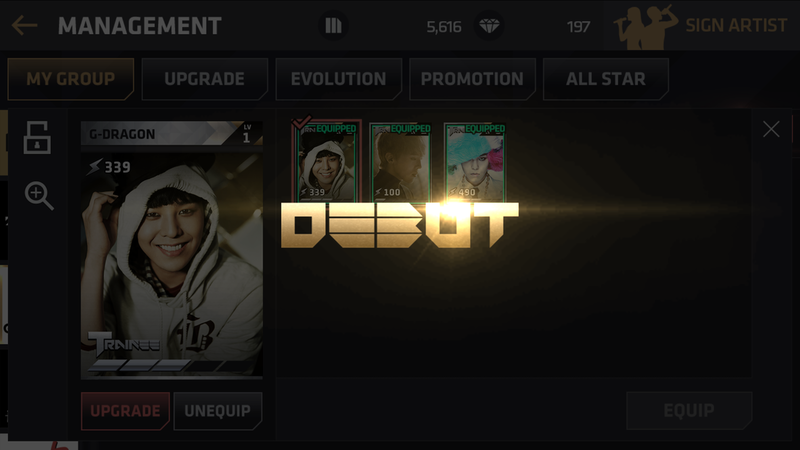 "DEBUT" means you have collected all member cards. You will be missing a ton when you first get into the game. 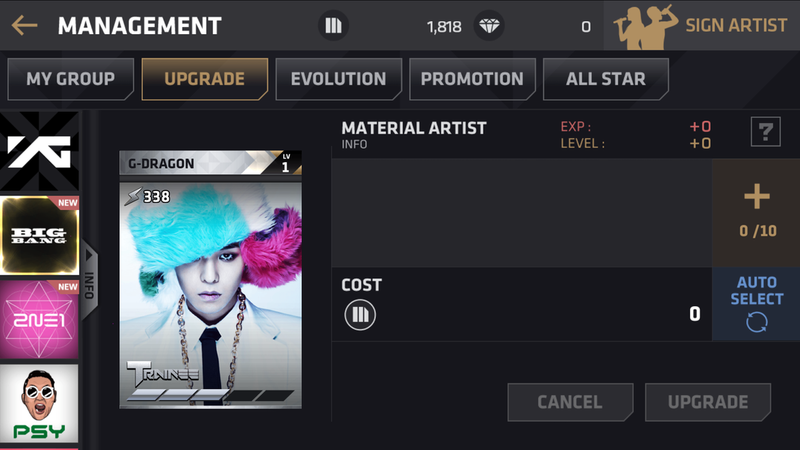 For solo artists like GD you will need more cards of him. It's annoying because you literally need one for BigBang, GD, GD&TOP, etc. The auto debut button does nothing right now, for me at least. ​Here's a trick! Let's say you have a high level GD card that's equipped to BigBang. 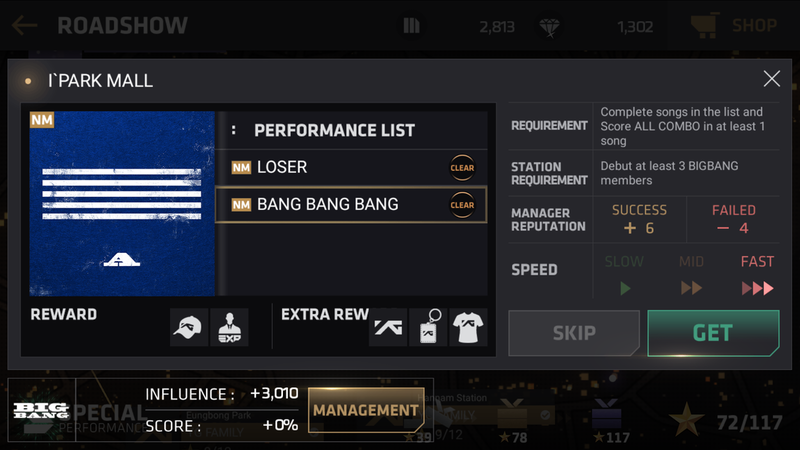 Take it off and use it for GD solo if you are trying to three-star a GD SOLO SONG. Get it? Put it back after you are done. You are free to switch around your cards! 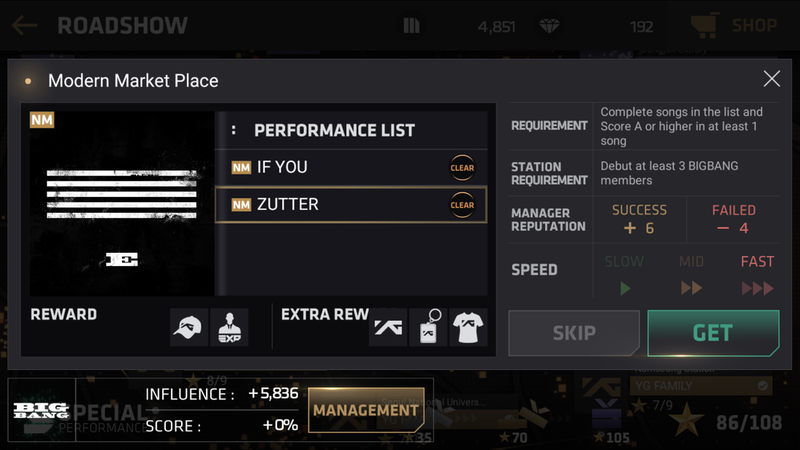 RAISING INFLUENCE: Upgrade your artist cards! 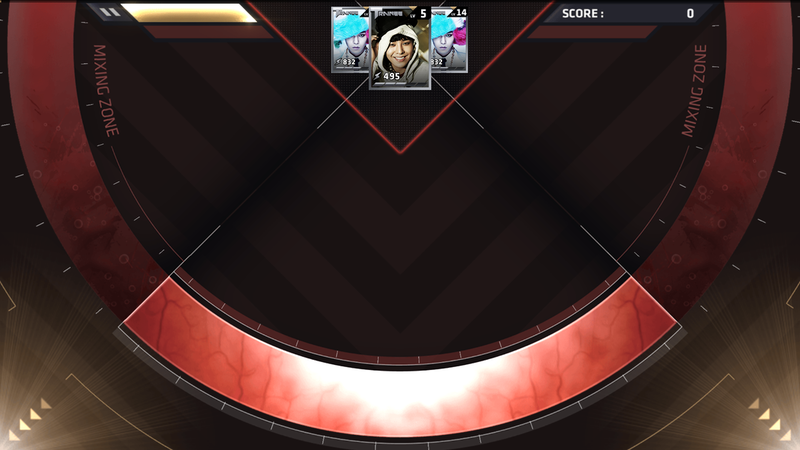 Be sure to use corresponding cards for maximum points. 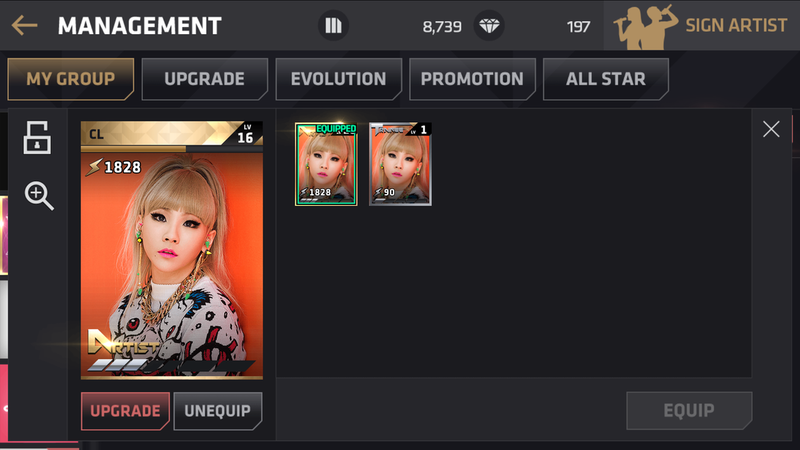 Don't use a GD card to upgrade CL. YOU CAN, it's just not as useful. You'll get more points for using a CL card to upgrade CL. Sometimes you won't have an dupe and that's fine. I just wait until I see that there is an extra card for someone. It costs M-coins to upgrade so make sure you have enough. Amount of M-coins required depends on the amount of cards. If you are only using one, it will cost 500-700. All 90 lightning bolt cards will cost 500. When you click upgrade, you will have to scroll through your entire inventory. You are going to end up with a lot of these blank experience cards. Use them on any artist you choose! 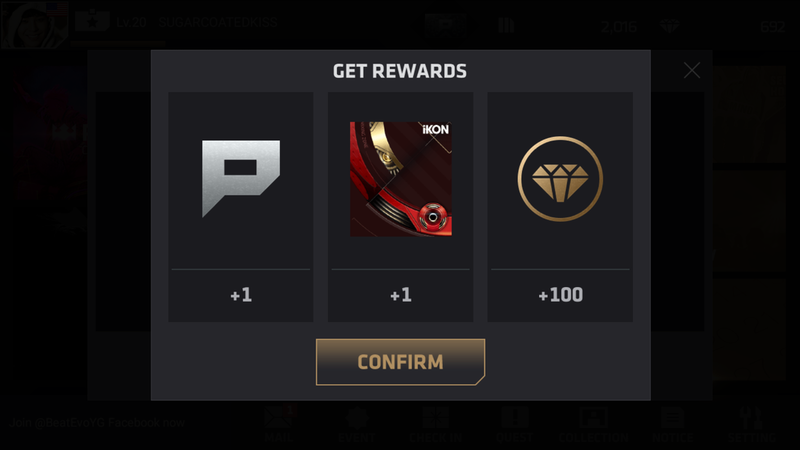 They basically give these out during gameplay. 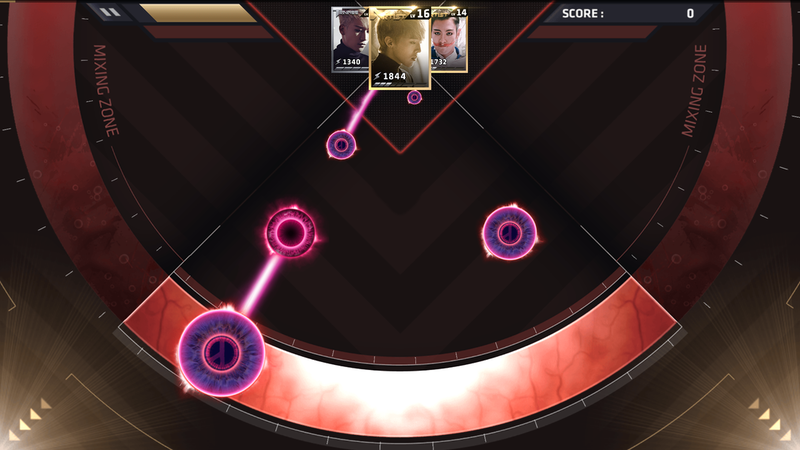 You earn points for hitting each note but the cards that you have are crucial because you earn a bonus for each note. The member cards will be rotating throughout the song and while each card is featured you will earn extra points based on that card's level. 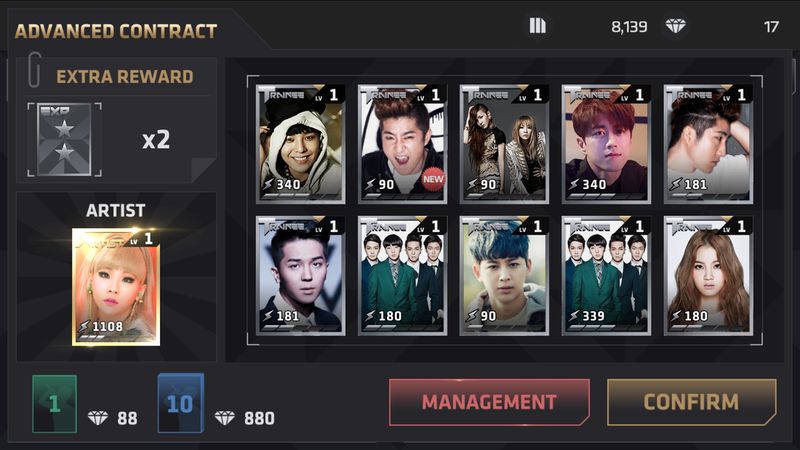 Having a 1000+ card will add 200-300 each note. Even better for the notes that you have to hold down. 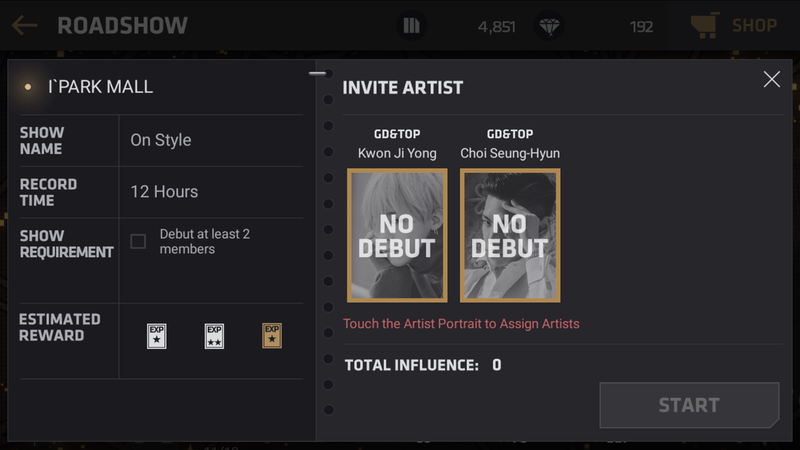 For cards that you are missing, it will show "NO DEBUT"
You will not earn any extra points for hitting the notes while that card is shown in the center during the song. Make sure you get some play time in to complete the daily quests. You earn experience, diamonds, and contracts! Schedules are timed and appear daily. There are two versions of schedules: PERFORM and TV SHOW. 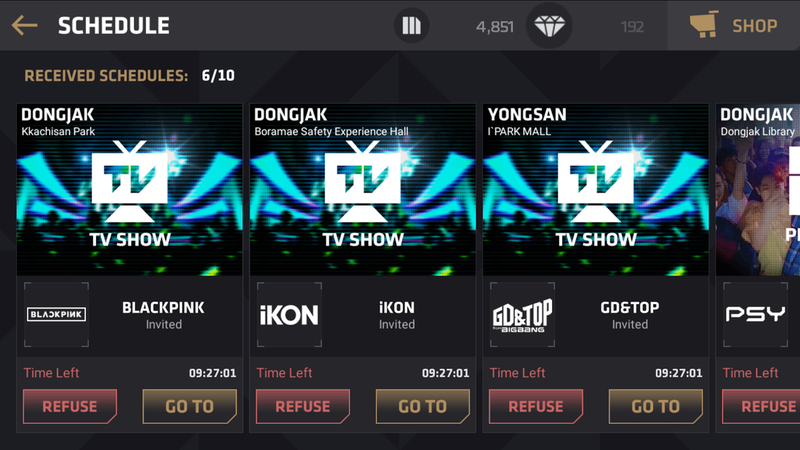 You cannot participate in schedules if you are missing cards for the group. The requirements are usually easy as long you don't miss a crazy amount of notes. Don't accept a schedule that you don't think you can handle. Some songs won't let you miss a single note. Read before proceeding!!! You only get one chance for each song and you are not allowed to start over. I haven't noticed a difference with the speed options yet. I always have mine on fast. It definitely doesn't change difficulty but maybe the actual speed of the notes during the song. I never really paid attention to it all that much. You get a lot of experience for successfully competing a scheduled event so try your best to pass. 500 EXP is no joke. You also get materials that are useful when evolving artist cards. Scheduled performances add to your reputation. It will tell you how much reputation you can earn or lose. 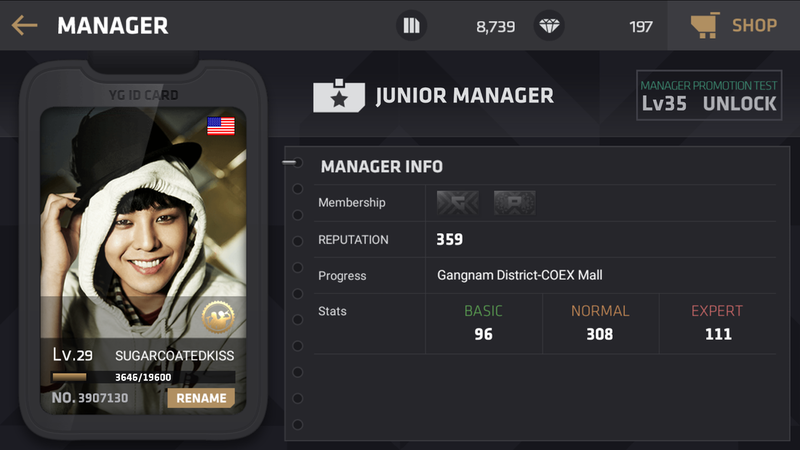 Here is my manager card. I'm proud of my progress so far! TV SHOWS are schedules that I do before I head to bed. They are 10-20 hours long and you have to use your artist cards. You leave it there and come back to collect the reward once it's done. I like to use my best cards so I go into Management and take off whoever I need for a TV SHOW schedule. If they are still equipped in a group you won't be able to use them here. If you have side cards for the idols then go ahead and use those. I recommend you to use the highest level cards. Hit start and there you go! That's all. Easy right? Special performances are found at the bottom left-hand corner when you are viewing a station at the roadshow. You have to use a stage card to reveal the whole song list. You must complete every song to receive the reward at the end. Whenever I am low on M-coins this is what I do! It takes awhile because there are so many songs to get through but it's so worth! 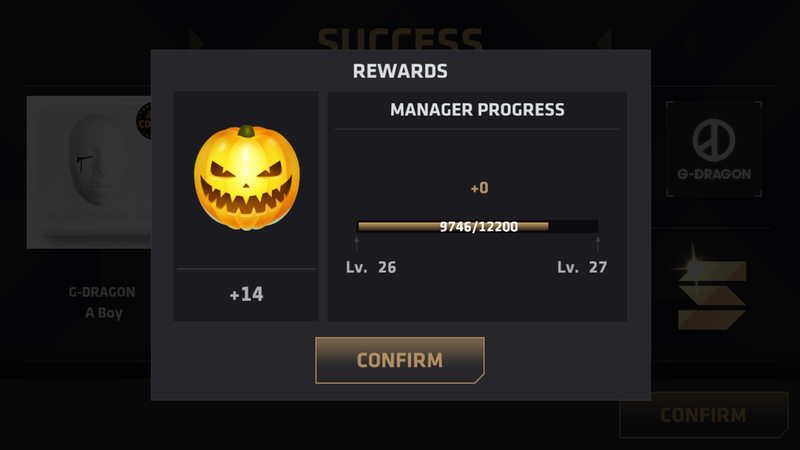 You get AT LEAST 5k M-coins and I don't know about you but I don't feel like using my gems to buy more. You can find the special performances in all your unlocked roadshows! The live audio is so much fun! In the later roadshows the songs can get quite challenging so I enjoy it a lot. Check the events tab to see if there is anything cool happening! You don't get much time to complete them! Seals are obtained through special performances. You use them to trade in for limited edition stuff. 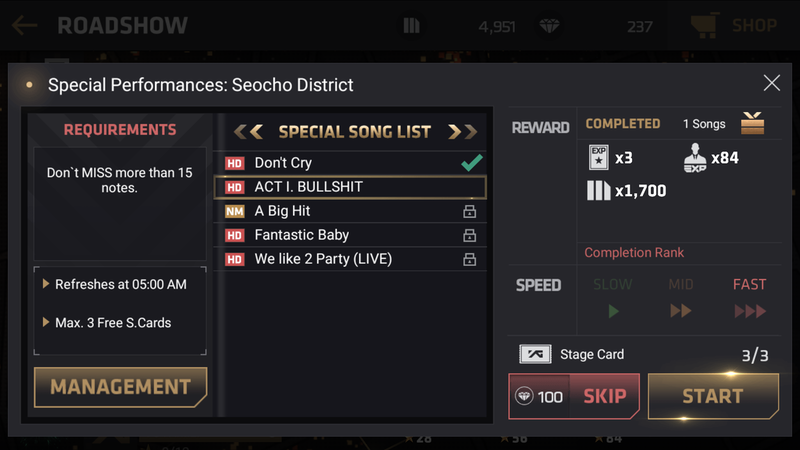 Custom notes will appear during the song in a special performance and you will collect them as long as you don't miss! The seals for Halloween looked like evil pumpkins! At the end of a song it will tell you the total amount you earned. There are two packages available for exclusive access and rewards in game. I have purchased both and highly recommend serious players to get the Gold Membership Pack. I'll tell you why! 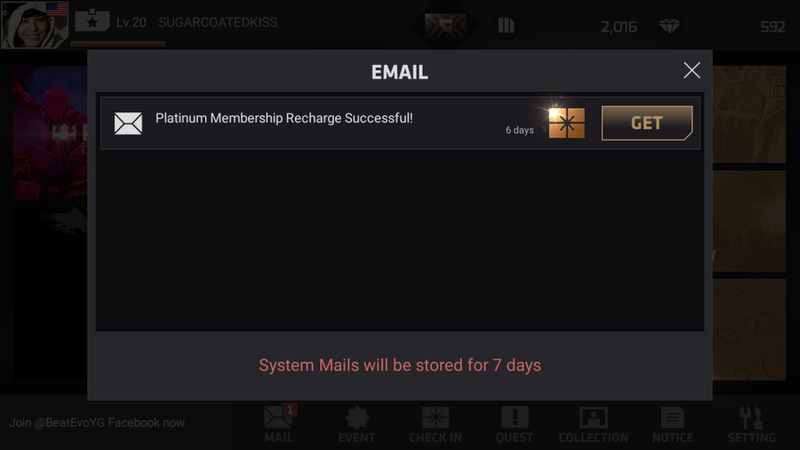 Once payment processes, you should see a message in your inbox with 300 diamonds! Every day for 30 days, you will get 50 diamonds when you login. 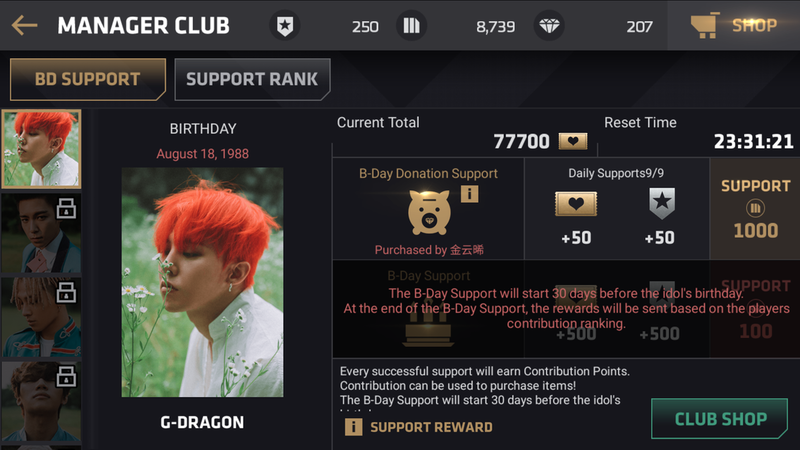 The GD skin costs 1800 diamonds because he's mega popular and expensive. IT'S ACTUALLY THE MOST EXPENSIVE SKIN IN THE GAME UGH. Just think about it: It costs $19.99 for 1,200+100 diamonds. I only spent $4.99 and with the login bonus I eventually saved up enough to purchase the skin for unlimited time period. (It's 192 for 7 days) It takes longer but if you are patient you will have enough to get any skin you wish! This is why I think gold is the best option. For platinum, you get a little bit more. 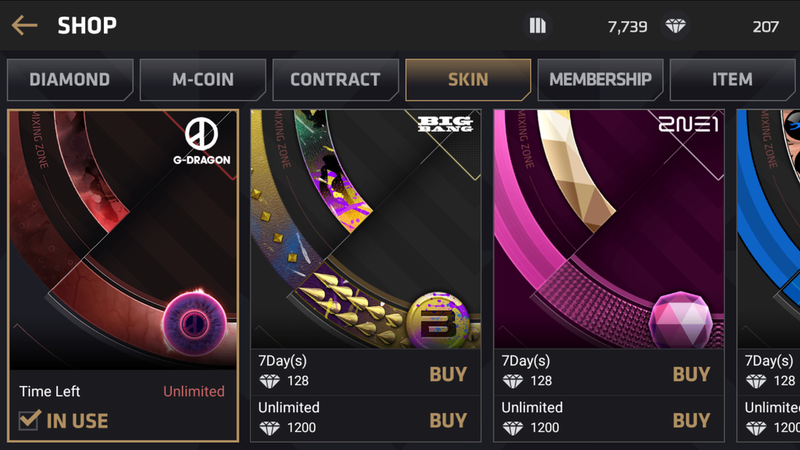 100 diamonds and an IKON player skin to rent for 3 days. Yeah, you don't get to keep it unfortunately. I was living the dream having both gold and platinum membership perks. In the daily quest tab, there are two only listed for platinum members. It's bonus experience and another chance to earn easy diamonds. As a platinum member, you gain access to the "elite" roadshow where you can play through FULL length songs. You don't even get experience for it. I would say that it's worth if we got something out of it. I honestly think it's just there for fun and for those who want to hear the entire song while playing. You need to reach level 15 before joining a club. You can look at the club shop once you have been invited to one! These items cost contribution points. You can earn contribution points by supporting idols in BD Support. It costs 1000 M-Coins to earn 50 contribution points. You can contribute a total of 3000 M-Coins until it changes to diamonds. 25 diamonds. 50 diamonds. And so on. You earn even more contribution points by using diamonds. It's 500 diamonds if you want to unlock more group members! 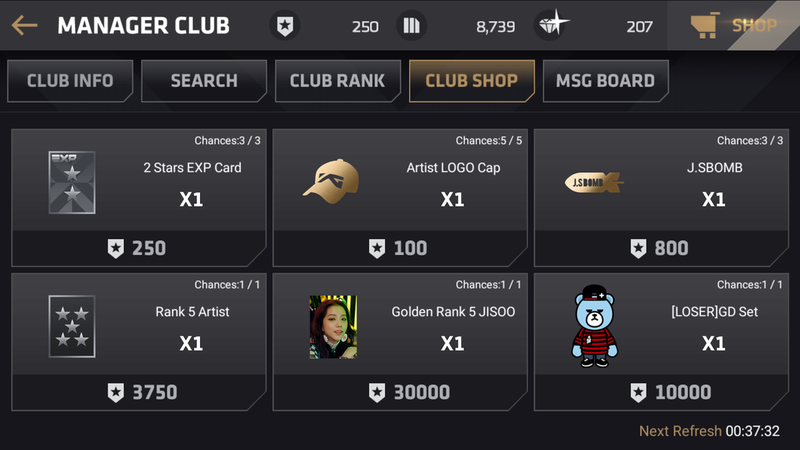 Higher ranked clubs usually have most artists unlocked.